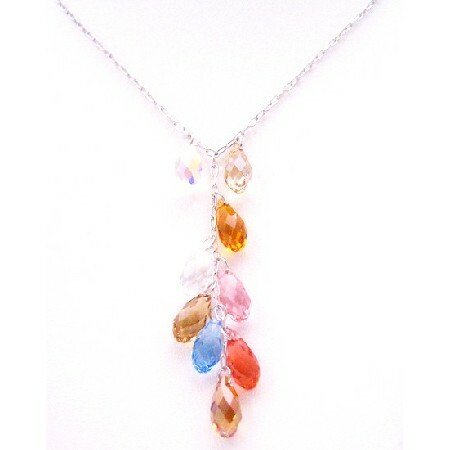 Harmonious accumulation Swarovski Collection Top Drilled Teardrop Multicolor The top drilled Swarovski # 6010 size 13.5mm by 6.55 necklace using genuine crystals dangling from very high quality silver chain beautiful gift & can customize the length of necklace as per your requirement matching earrings & bracelet available. Our jewelry made with beautiful crystal bead was this inspiration for this simple Drop down necklace with Top Drilled teardrop crystals. Live for chic fashion jewelry perfect piece for you. always give the impression of being thoughtful & expressive.